So technically it is Spring now, but the cold weather just will not go away! So I’ve been treating my skin with some new goodies from Palmers. I was very kindly gifted all of these products from Palmers and I had high hopes because my Nannie absolutely loves their moisturisers. I also just wanted to give a quick mention to the lovely Samantha, who arranged for all of these skincare treats to be sent to me. I briefly mentioned the products I was sent on my Instagram story and Samantha had noticed that the lid of the Solid Moisturiser had snapped (I didn’t mention it because there wasn’t any need to), so she arranged for another one to be sent out to me – which I think is amazing and I really appreciated it. It’s always admirable when brands go above and beyond! 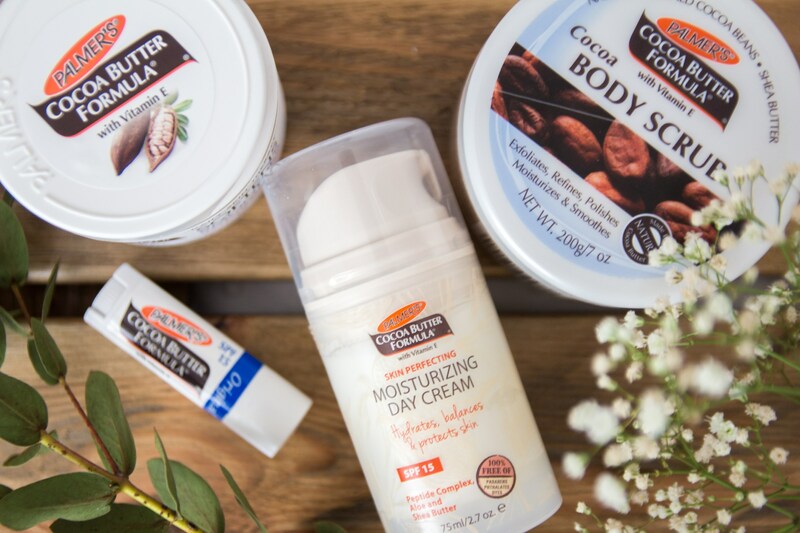 The four items I received were the Cocoa Butter Formula Original Solid Formula*, Cocoa Butter Formula Cocoa Body Scrub*, Cocoa Butter Formula Original Ultra Moisturising Lip Balm* and Cocoa Butter Formula Skin Perfecting Moisturising Day Cream SPF15*. The way this product melts into the skin is just heavenly. My limbs feel extremely moisturised and hydrated when using this and the hydration lasts longer than 12 hours which is insane! I’m really fussy with body moisturisers because I hate feeling sticky, but you don’t get that with this product, instead you just feel super soft and creamy to the touch. I recommend applying this before bed. I haven’t stopped using this since I received it. It makes me smell like chocolate (in the best possible way of course) and exfoliates my skin gently, yet still effectively. When I hop out of the shower, my skin feels very soft and thoroughly cleansed. 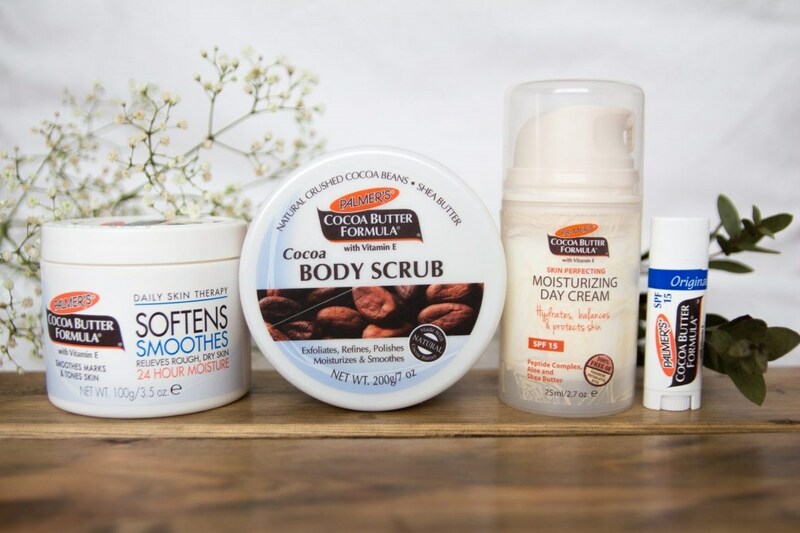 I was just looking for a body scrub to try out too, so this one came at the perfect time – I will be repurchasing the Cocoa Body Scrub for sure. I think this is possibly the most hydrating and moisturising lip balm I have ever tried in my life! It also tastes super yummy too – although definitely don’t eat it, just because it does taste like chocolate! I have quite a few lip balms on rotation at the moment, so my lips are feeling thoroughly treated. I prefer this one for night time hydration, only because it does take ages to sink into the lips – due to it being ultra moisturising – and you only need to apply a little bit of this to achieve instantly hydrated lips. I can see this lasting me a very long time, even if I did use it everyday! Now, I’m not the brightest spark in the tool box, so I did think this was a body cream and I have applied it to my arms and legs twice now, until realising it is actually a face cream which is totally obvious to me now! Anyway, it works really well at moisturising your legs and arms – I can confirm – however it’s also amazing for it’s sole purpose of moisturising your face. I have it on right now and my skin feels silky smooth and smells good enough to eat! It also doesn’t contain any ingredients that would irritate the skin on my face and contains SPF15, ensuring your delicate skin doesn’t get burnt which is always an added bonus in any face cream.